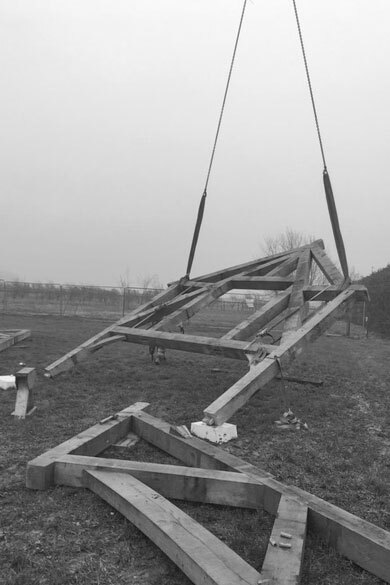 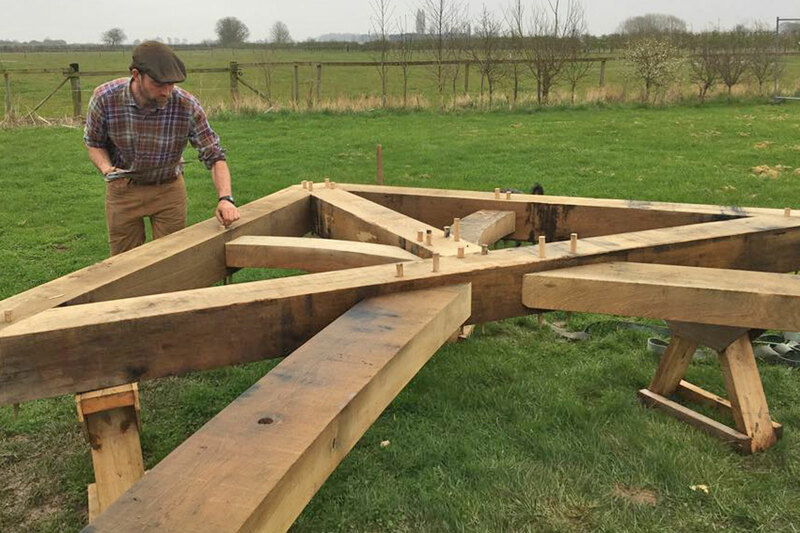 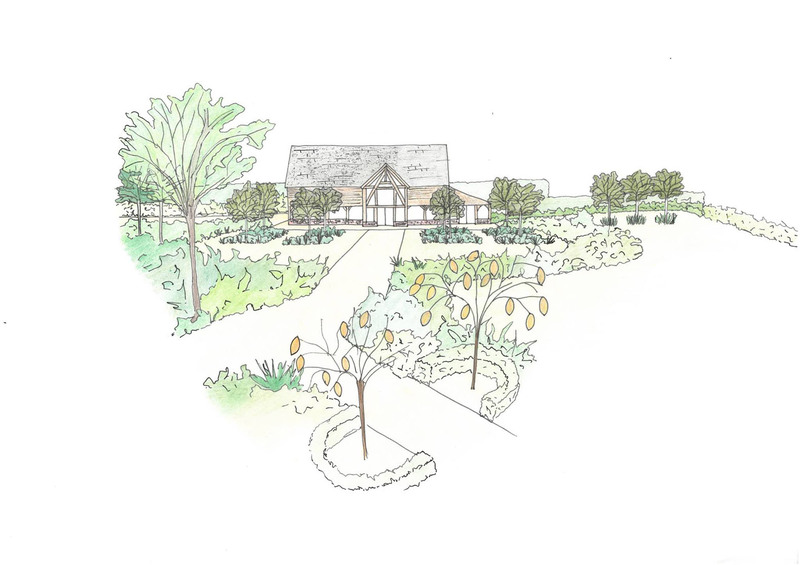 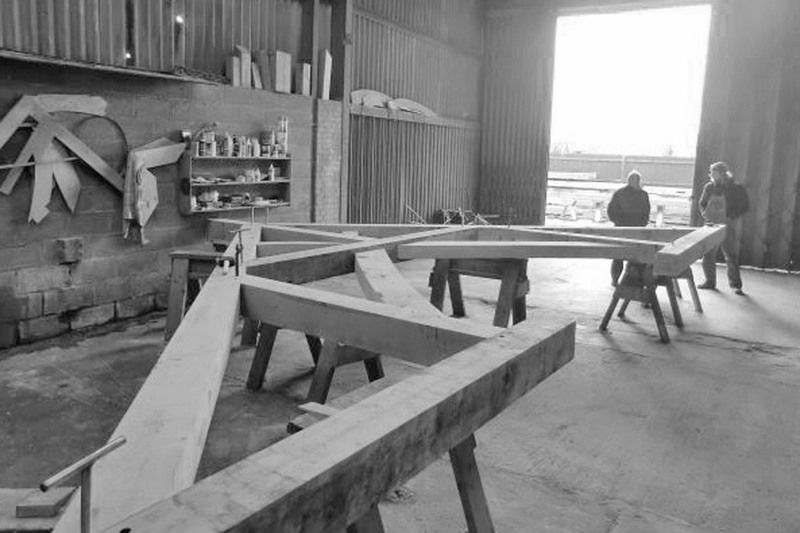 We were commissioned to build a grand oak frame for a premium wedding venue on the outskirts of Peterborough. 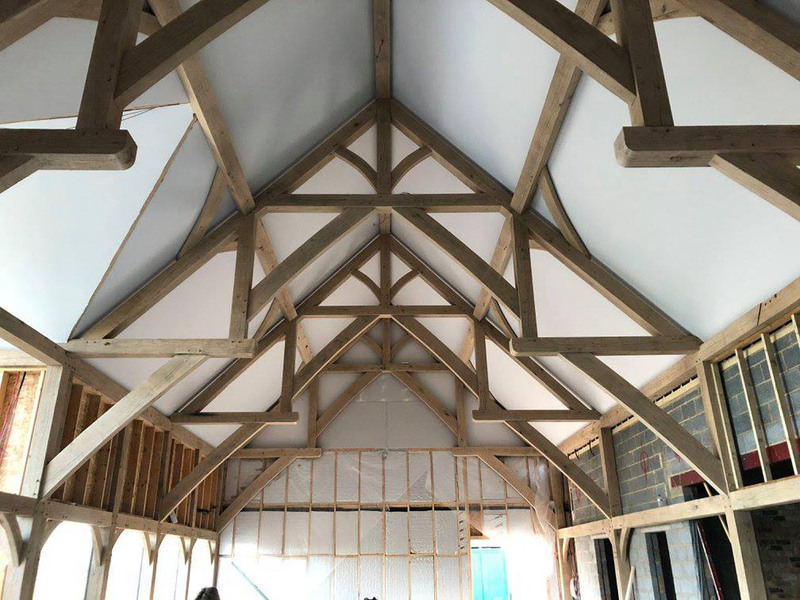 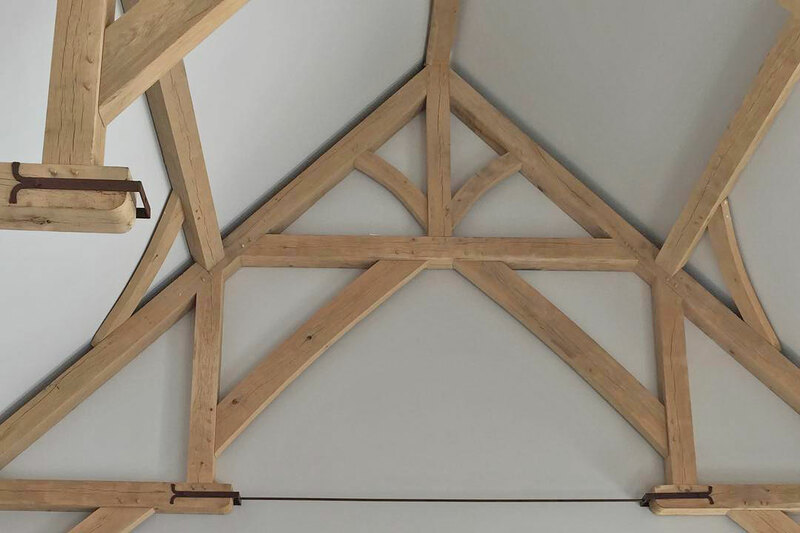 We worked closely over the course of a year with the clients to design and build the; hammer beam vaulted main frame, glazed two storey entrance porch and single storey oak framed bar. 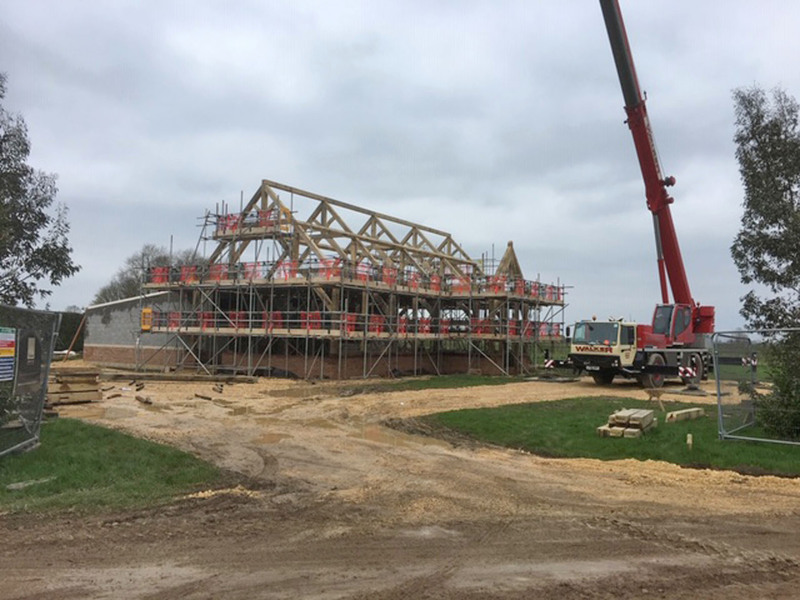 The main framing began in our yard January 2018 and the erected building slotted into its new home in April 2018. 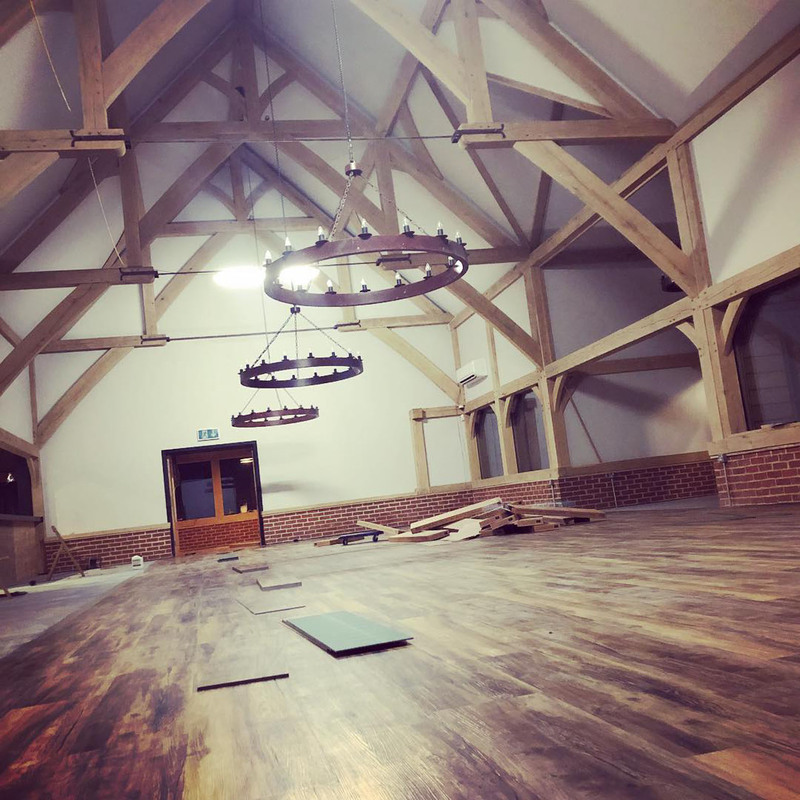 This grand structure marks the beginning of a business venture for our clients who offer bespoke wedding packages in the beautiful Cambridgeshire countryside. 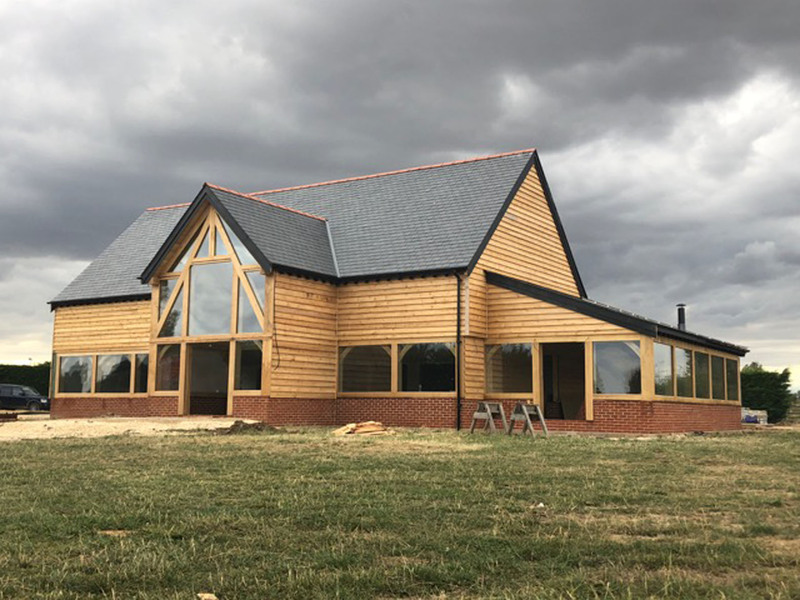 The structural internal frame is sympathetically sandblasted to raise the natural grain in the oak, whilst the exterior is clad with cedar and glazed to maximise the natural light.